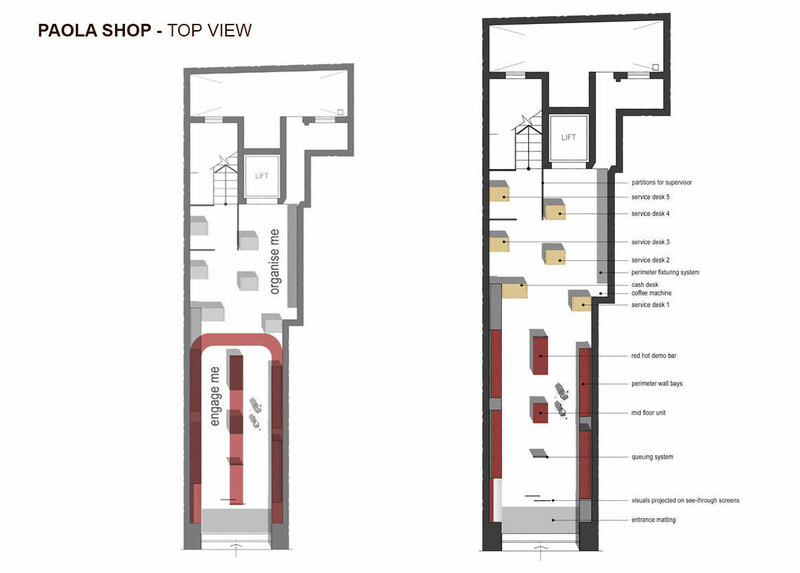 In response to Vodafone’s request for the provision of shop design & turn-key refurbishing works at three of its retail outlets, ARCstudio took the opportunity to set up a collaboration with a local finishes contractor and submit a design concept. 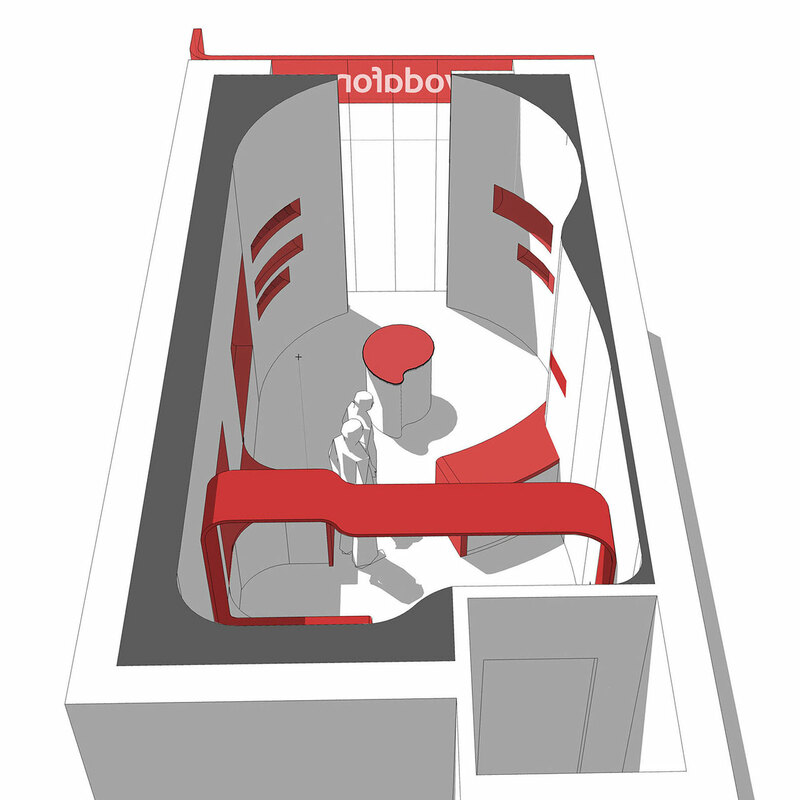 The design addresses client requirements and the brand’s international standards. 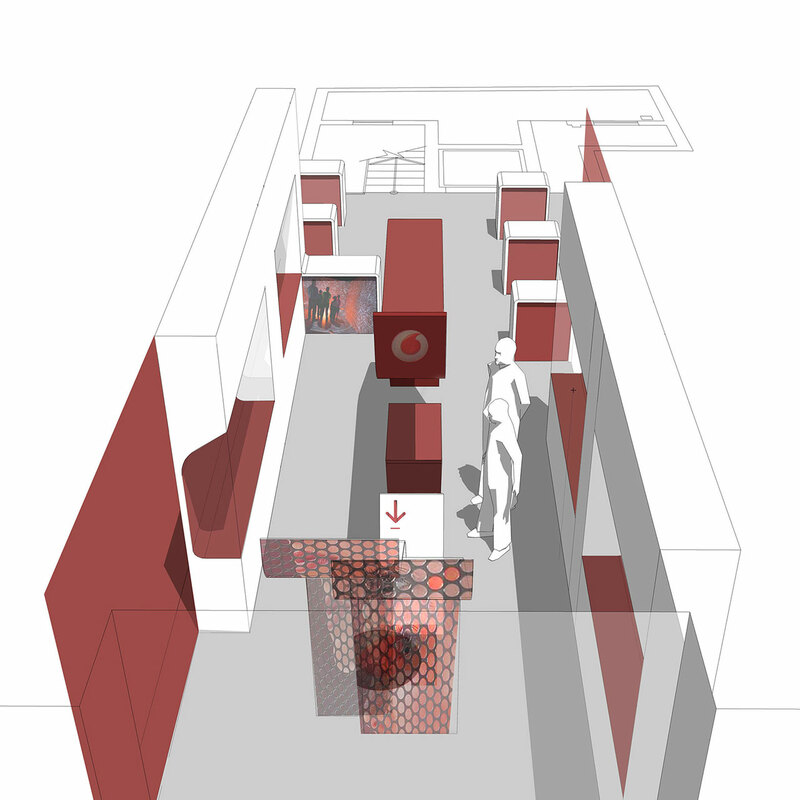 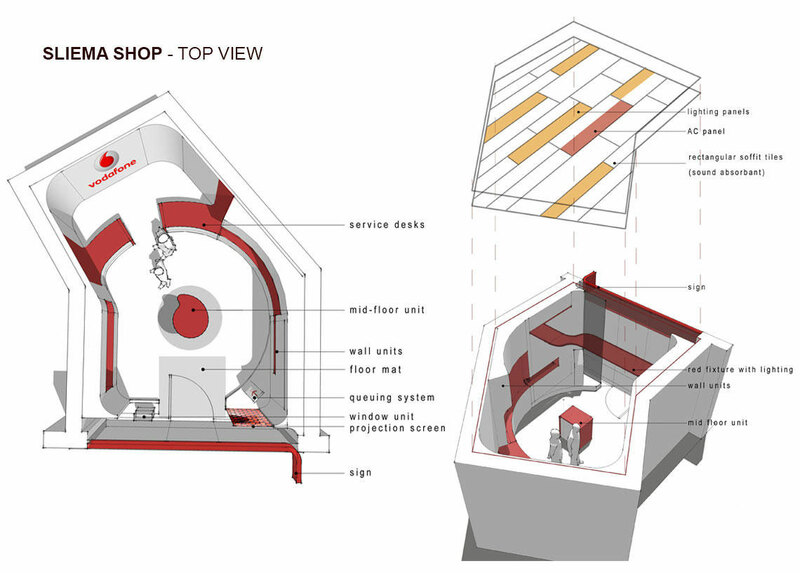 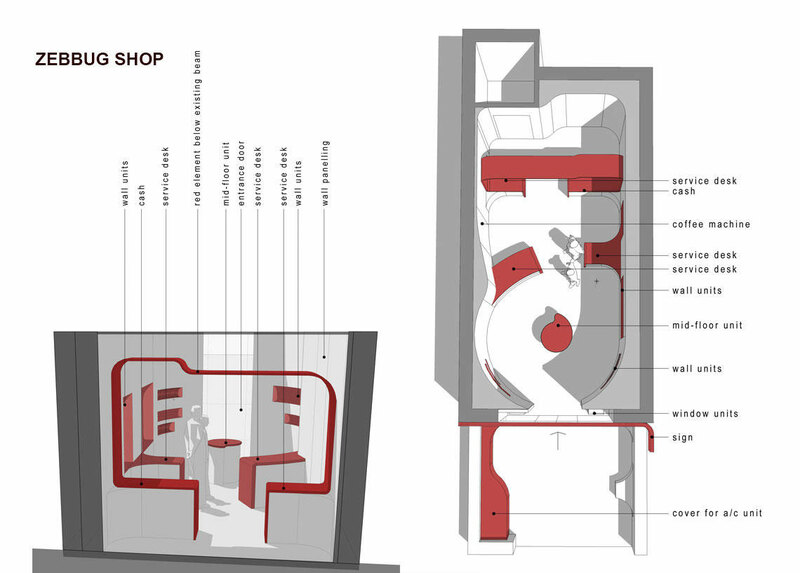 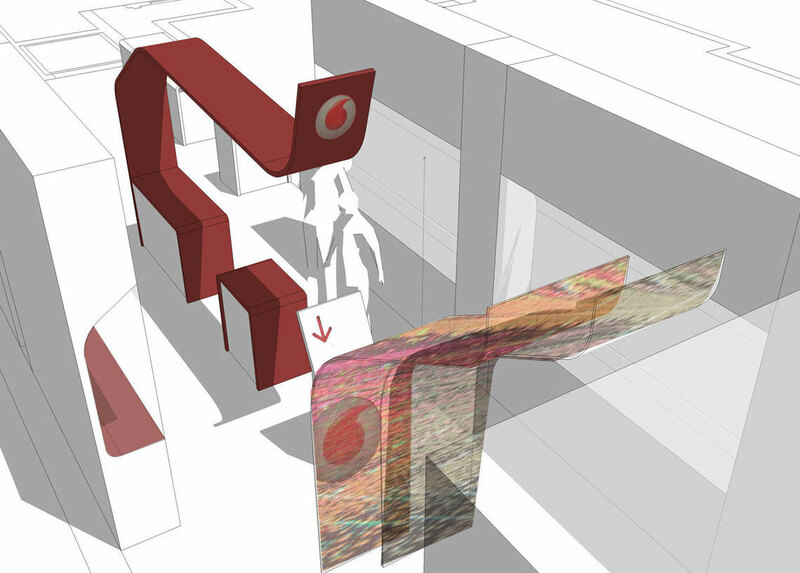 Red curvilinear forms wrap spaces to form displays, storage units, service counters and light fittings. 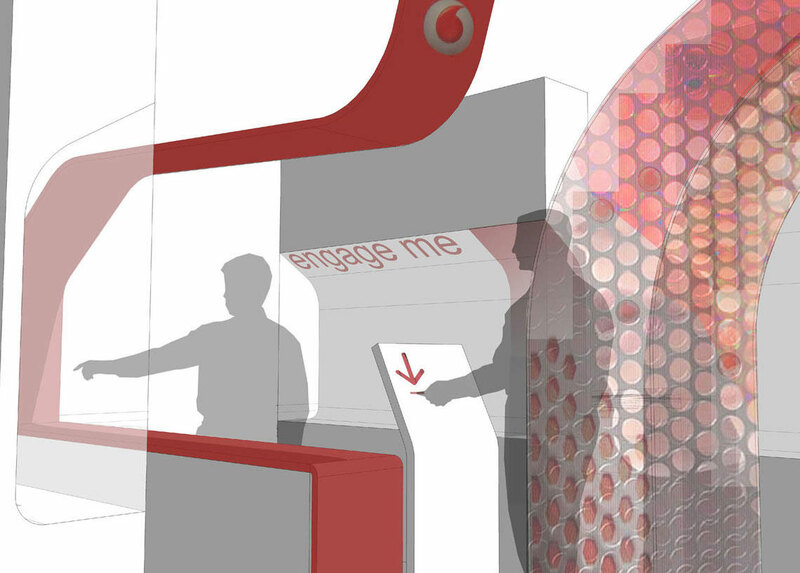 Forms evolve around a heart defined by the Vodafone logo, while creating distinct browsing and service areas.